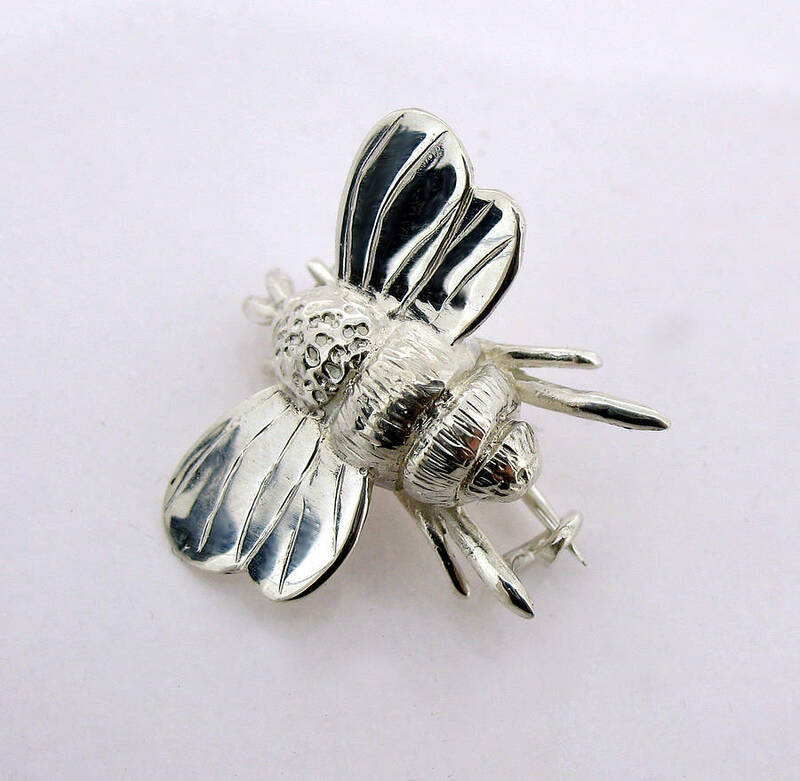 Charming sterling silver hallmarked bumble bee brooch. Sculptured by Will, a perfect example of his unique style. 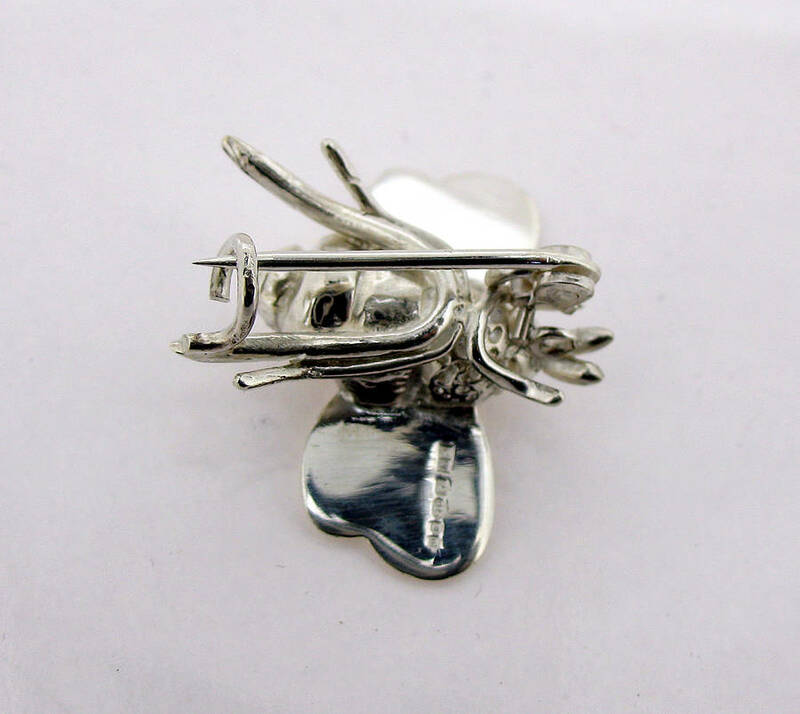 The brooch is also available in 18ct gold vermeil. 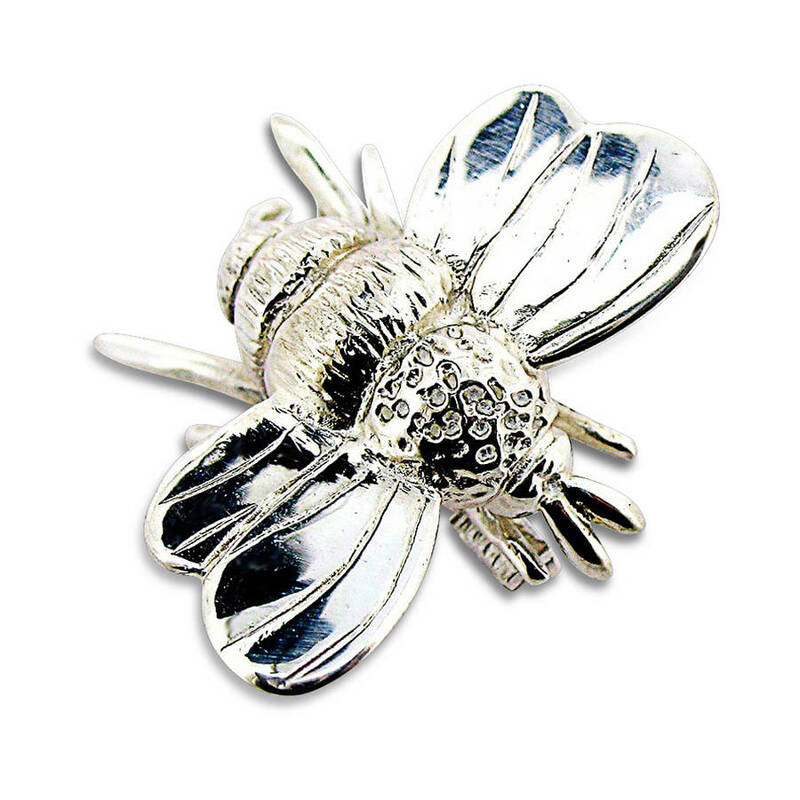 The bumble bee is made out of sterling silver and is Hallmarked with the London Assay Office official stamp and my maker's mark (cw.) in accordance with the Hallmarking Act 1973. 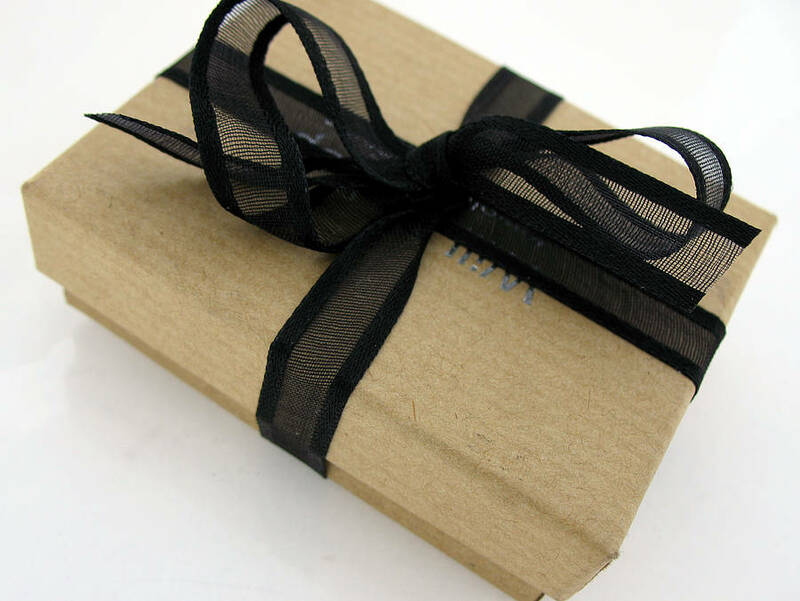 Size approx 2.5cms wide, 2cm length.